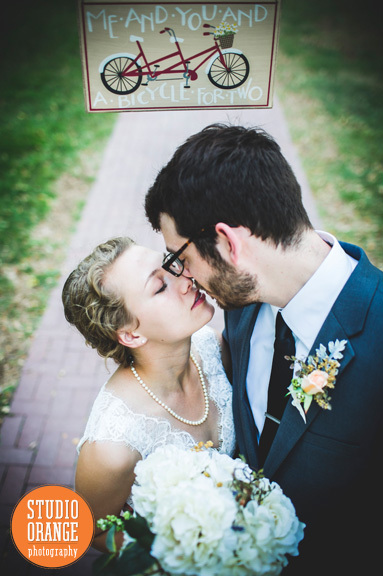 Welcome to the blog of Studio Orange Photography! Look. I'm going to be honest with you... I'm pretty terrible at blogging. I'm great at writing. And I have approximately 72 thousand ideas for blog posts. Getting them actually written and posted? Yeah... about that. Basically what I'm saying is don't expect a lot of frequent updates. But hey, don't let that stop you from checking in occasionally. When there's something new, believe me, I'll be just as surprised as you. 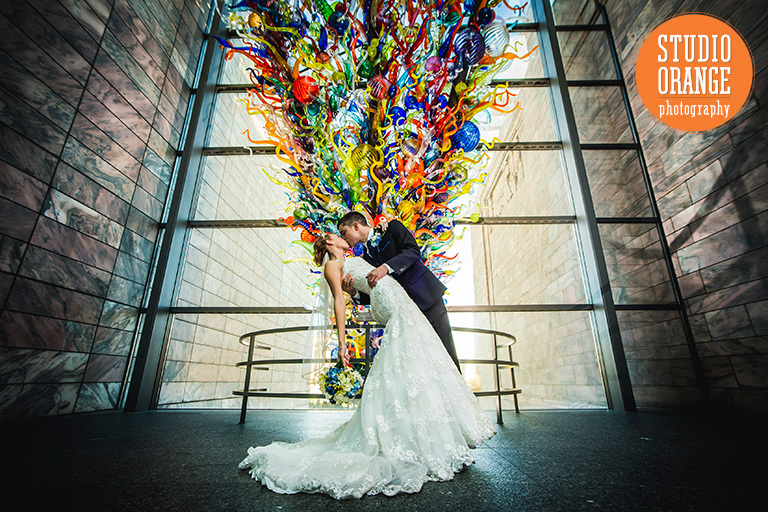 Based in Lincoln, Nebraska, Studio Orange Photography is in its 11th year of photographing weddings. In 2018, Studio Orange was voted as one of Lincoln's choice for best wedding photography by the Lincoln Journal Star's Lincoln Choice Awards. 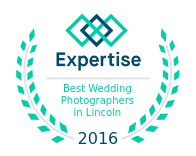 Studio Orange has also been named one of the top 20 wedding photographers in Lincoln for 2 years in a row. Now go forth... and read about stuff. Studio Orange one of the best in the area! The other day I woke up to the nice surprise in my inbox. But let me back up. I don’t really pursue awards all that enthusiastically. It’s not that I don’t want the recognition. Rather, I feel there are better ways to spend my energy. Like making great photos for my clients. Even so, being recognized is pretty cool. I found an e-mail telling me that Studio Orange Photography had been recognized as one of the top 20 wedding photographers in Lincoln, Nebraska. Expertise, the company who put this together, apparently scoured all of the wedding photographers they could find for the Lincoln area – more than 250 of them. Then they narrowed it down to the 20 they felt were the best. It’s a bit astonishing to think that anyone has to wade through more than 250 options when looking for their wedding photographer, but that’s the state of the industry these days. It’s almost like the instruction manual says “Step 1: unbox your camera; Step 2: Open a business.” And 250 is just the ones Expertise found. I’m pretty sure as I write this that 3 more photo business pages on Facebook were created. One reason I generally don’t put a lot of effort into pursuing awards is exactly that: pursuing them. A lot of “Best Of” awards depend a lot on votes. They become less about who actually offers the very best service, and are more about what companies are better able to get people to vote for them. A smaller company doesn’t stand a chance merely because it’s small. For example, I’ve seen a local grocery store chain awarded as the best caterer solely because they have the largest customer (voter) base, not because they actually provide the best food. This company, Expertise, independently put together their list. They came to this website, read through my blogs, looked at the photos, and looked up reviews. And still I was named one of the top 20. Also, looking through the list, I feel pretty good about it. Were I to put together a list of the best wedding photographers in Lincoln, I think my list would look pretty similar to this. All in all, validation feels pretty cool. And congrats to all of the other photographers who made the list, too! Robert, thank you for writing this. It’s spot-on. As a wedding professional myself, I see so many people basing their decisions on pricing alone and, as you say, it’s a “race to the bottom” from there. When my own daughter got married in 2012, the photography portion of the budget took top priority and we worked everything around it–knowing that it would be the only thing left after the day of the event was over! She’s been very happy with that decision. Photography is an art form. Sometimes photography is about being in the right place at the right time, and being a little bit lucky. But sometimes it’s like solving a puzzle. You have to know how light works, how shadows work, angles, timing, geometry, positioning, sometimes even weather patterns. You don’t just take a photograph. You painstakingly work to set it up. If done properly, you can see a complicated photo and NOT see all of the work and thought that went into it. 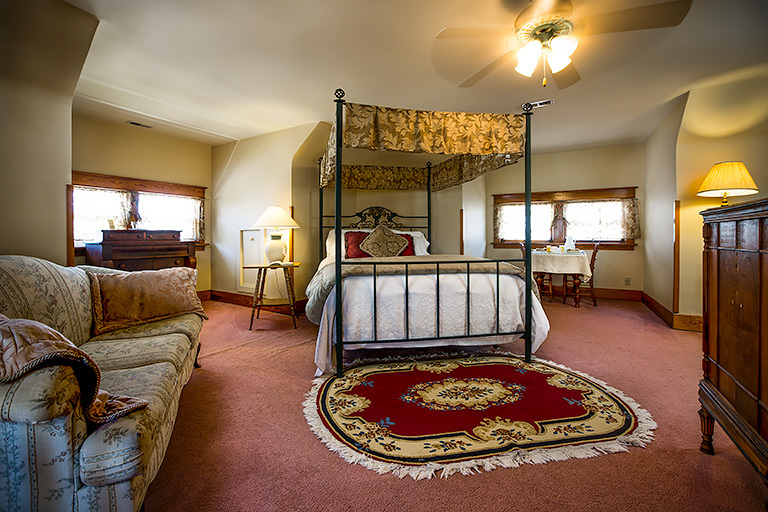 Recently, I was given the job of photographing the rooms for the Rogers House Bed and Breakfast Inn in Lincoln, Nebraska. 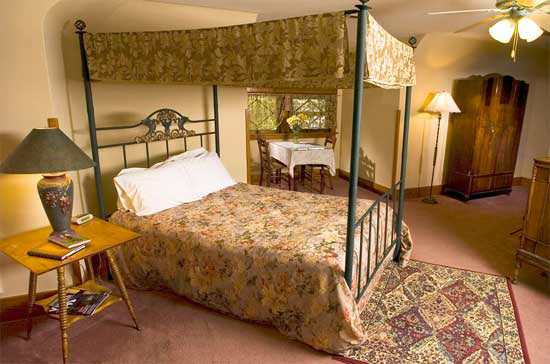 The photos currently on their web site are old and, frankly, don’t really show off the true beauty of the rooms. I don’t normally do architecture photography, but I’m not unfamiliar with it. I do know that it’s not as simple as merely going in and taking a photo. The problem is that how our eyes perceive a room is not necessarily how our cameras perceive it. Our eyes are able to not only adapt to different levels of light and contrast, but even the TYPES of light. Incandescent lightbulbs, for example, have a different color temperature than sunlight. Our eyes are sophisticated enough to compensate for this. When we’re in a room with windows, all of the light looks the same. But with our digital cameras, the sensor can only accommodate one temperature of light. Mixed lighting can create all sorts of problems, such as parts of a room appearing way too yellow or way too blue. Even with one consistent source, many camera sensors still don’t automatically get it right. 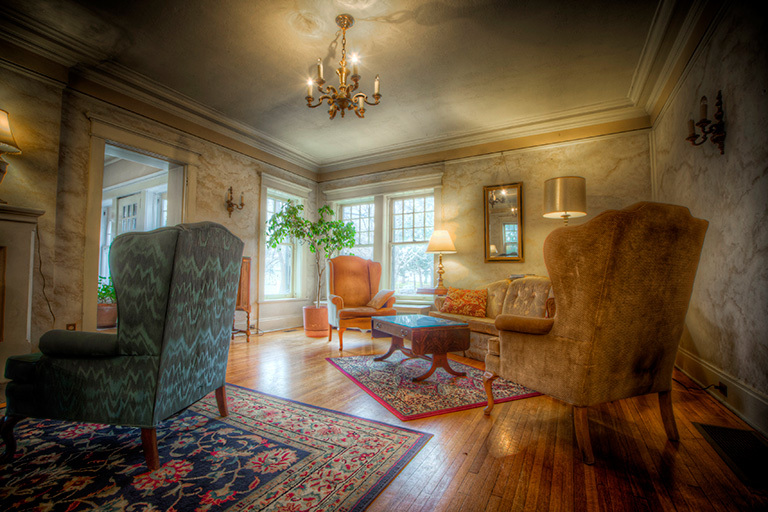 Indoor photography often skews toward yellow if the color temperature isn’t properly set. So I knew that in order to properly do justice to the Rogers House rooms, I was going to have to approach this as a puzzle to be solved. How to properly light the rooms, make all of the colors accurate, show drama and intimacy, yet still maintain a realistic impression of the rooms? Let’s start with that last one. Because really, that’s the toughest. One popular “trick” in the world of photography is a technique called HDR. High Dynamic Range photography. 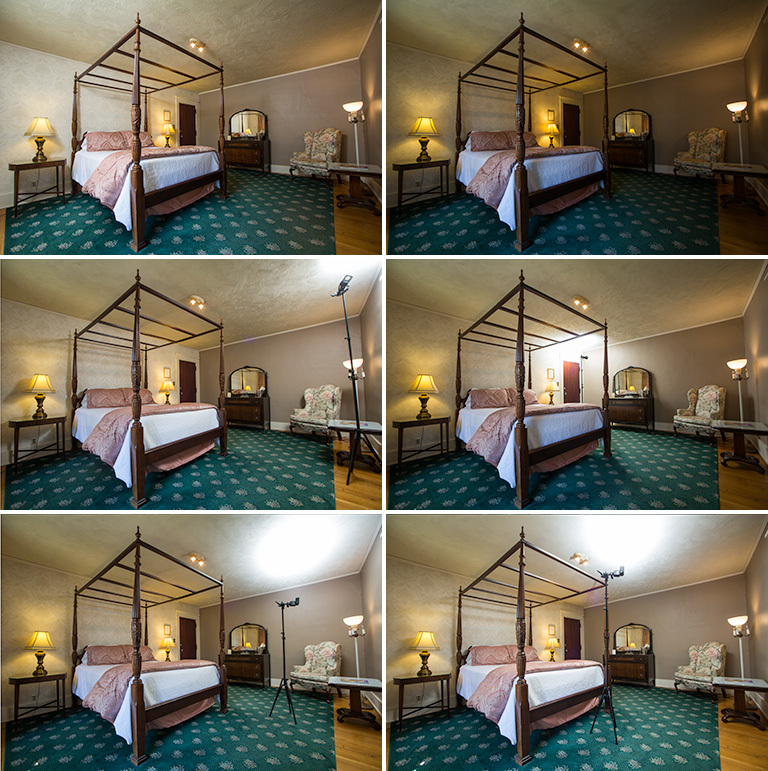 HDR involves taking multiple exposures. Some exposures will be optimized for the brightest areas, some will be optimized for the darkest shadows, and some for the middle range. Special software combines these exposures and brings out detail across the entire dynamic range of the scene. So, for example, in a dark room you might see all of the details in the shadows, but outside the window you’ll also still see all of the details from the bright, noon sun. The problem with HDR is that it’s very difficult to do well. Even when carefully processed, it tends to create an almost artificial look. An image can appear almost like a painting, or it can simply look “too” perfect. Like a computer rendering, where the shadows and highlights aren’t quite right, but you’re not sure why. HDR can be a cool and fun technique, but can also very easily look too unreal and “dreamy.” Not at all appropriate for this job. HDR was not the route I wanted to go. My goal for each room was to make an image that was dramatic, but represented, as much as possible, the actual lighting in the room. But to do this, I need to, paradoxically, create light. The first thing I did in each room was consider where the sources of light were, including the windows. Then I looked at where the light was hitting around the room and where the shadows were. I didn’t want to eliminate shadows, because the contrast of light and shadow creates drama. Another important thing was to consider what purpose these photos were going to serve. Not only is it important to properly represent the rooms in terms of colors, but to also try to enhance the drama and intimacy of the rooms. The “feel” of the Rogers House is rich and lush. So for these photos, it wouldn’t be out of place to slightly exaggerate the contrast of the rooms to make the photos feel more like the experience of actually being in the room. The original photo as it currently appears on the Rogers House site. Immediately I can see that something is off with the colors. 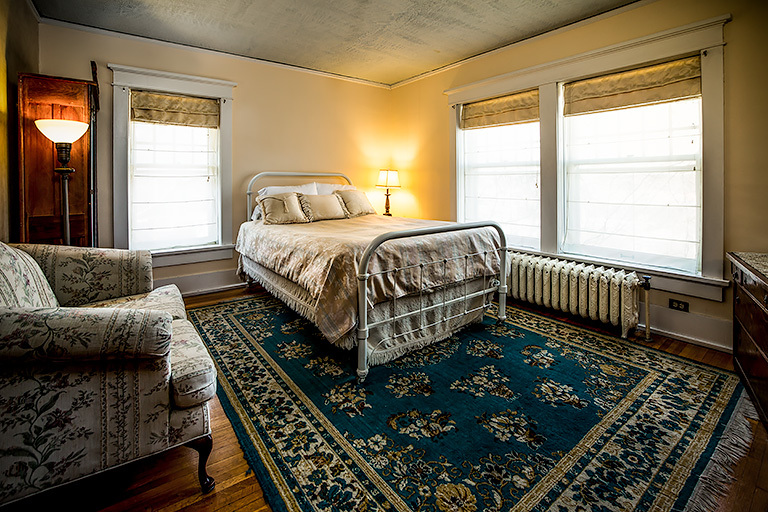 There is natural sunlight coming in from the left, artificial light throughout the rest of the room. And yet, the color balance isn’t right for either. The entire image skews very pink. Color problems aside, the framing of the photo makes the room look a bit cramped. Even with the room door open, it the room comes off feeling smaller than it actually is. My initial photo: A better angle, but the colors are still off. By getting a little lower, and back into the corner, I can show off more space. 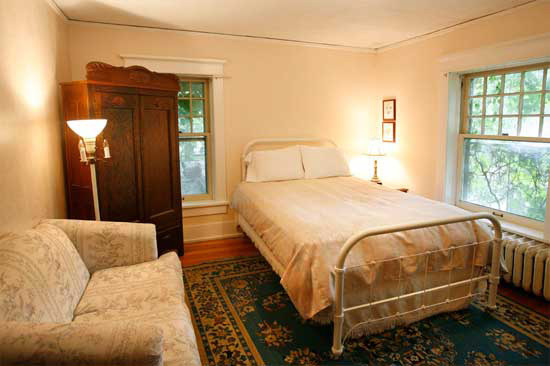 Even with the door closed, the room appears larger, and yet still a cozy size. But… there are a lot of problems with the light. I have an excellent source of white in the room, the bed, which is a great way to calibrate the color temperature. But the problem is that all the different sources of light are making that white bed spread skewed to all sorts of different colors, from blues to pinks to yellows. And the entire back half of the room is way to yellow. That’s NOT how it looks to my eyes. This is giving me more accurate colors on the back wall, but at the expense of warmth. I lose all of that great yellow glow off of the lamps. I still want that, just not the entire back of the room to be yellow. While I could use some layer masking to bring back the warmth of the lamps, another problem is just the overall lack of contrast. The color is better in the back half of the room, but it just looks kind of bland. So my solution was to take many frames, but using a flash to “paint” better light where I needed it. 6 shots, painting with light around the room. The final shot. Colors are accurate to the room, and the colors are rich and inviting. And below are a few more before and after samples, each using this same technique to “paint” with light. 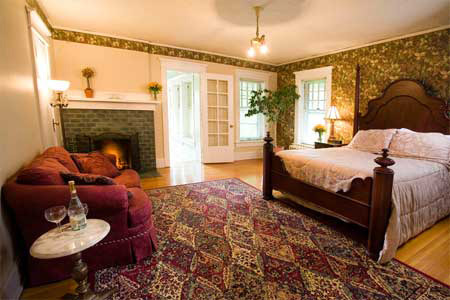 The Hillsdale Room, as it currently appears on the Rogers House site. 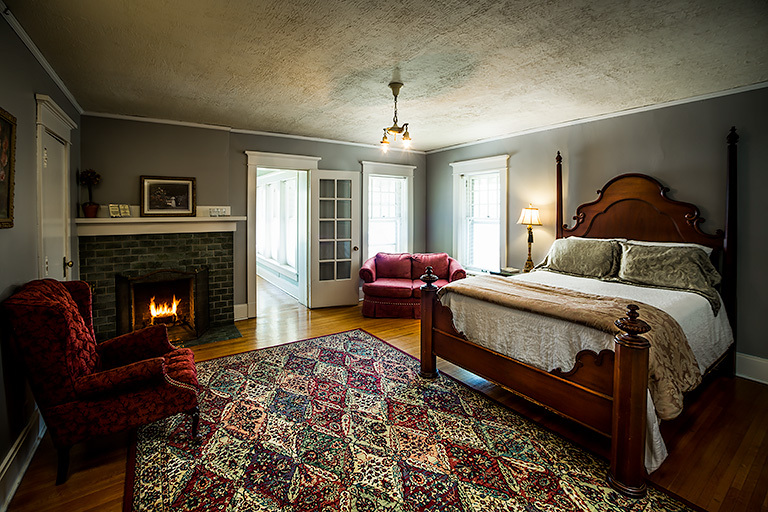 New photo of the Hillsdale Room. The original Garrett Suite photo. 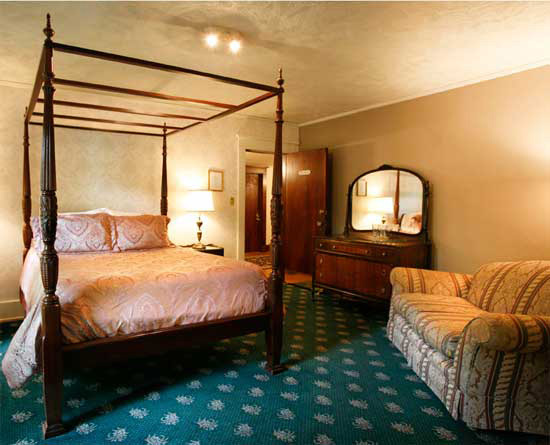 New photo of the Garrett Suite. The Bankers Suite, original photo. New photo of the Bankers Suite. Photography isn’t just about pushing buttons and hoping for the best. Quite often, the best photography is about having a plan and having the knowledge to be able to carry out that plan. These new photos don’t look like snapshots. They are dramatic and convey some of the amazing experience of being in these rooms. 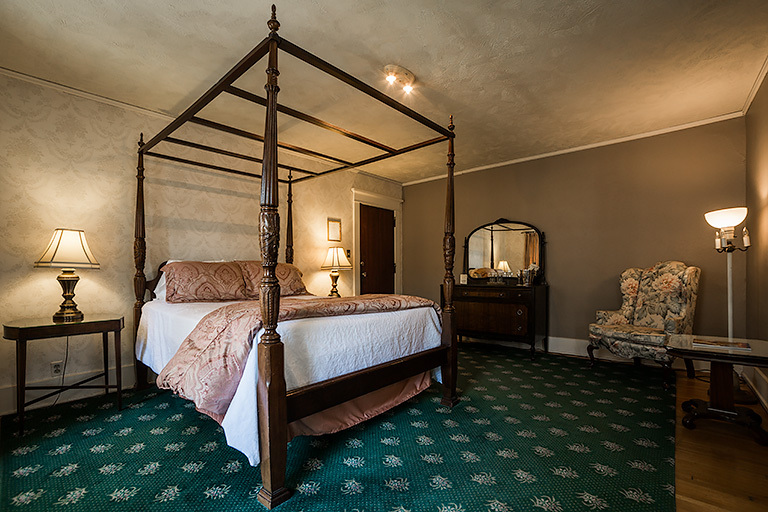 When they are implemented into the Rogers House website, potential guests will have a much better feel for their experience in the Inn. All because I took this job with a clear plan for what I wanted to accomplish and how to accomplish it.